Award-winning author Nancy Fulda presents six stories of hope, heartache, humor and dignity. Within these pages, curses transmute into blessings, friends become enemies, possible futures collide with nonexistent pasts, and imaginary friends take on corporeal form. From invisible pets to magical islands, from a child with autism to a dying multimillionaire, these stories will touch your heart and leave your thoughts spinning long after the last page has been listened. Nancy Fulda is a Phobos Award winner, a Vera Hinckley Mayhew award recipient, a Jim Baen Memorial award winner, and a Hugo and Nebula nominee. Her writing has been favorably compared to the work of Asimov and Clarke, and her stories have twice been listed in the Tangent Online recommended reading list. Stories included in this collection: The Death and Rebirth of Anne Bonny, Saving Sammy, All or Nothing, In the Fading Light of Sundown, The Cyborg and the Cemetery, First Steps. There are 6 short stories in this book, the narration was decent for the entire book. My favorite story was the Death and Rebirth of Anne Bonny, I actually would have liked this book to be a little longer. I don't really agree with the classification of SciFi for most of this book, I think there were really 2 Sci/Fi but the the rest were really contemporary fiction to me. These stories are all about children with challenges and the triumph they experience as a result of their condition or after they come to terms with it. I enjoyed them and they all sent a very good, positive message to those of us (who doesn't?) who deal with real physical or mental challenges each day. I am considering attempting to get my son with asperger's syndrome to listen to it. He is at the age where his condition sometimes frustrates him to the point that he 'hates being autistic'. He struggles with abstract concepts but I think these stories could at least be a conversation starter for us. The narration was steady and clear and well paced. Check my other reviews and you will see that I don't normally rate everything a 5 but this little book earned it. Each story was interesting on its own - there are 6 in this 90 minute book so no story was very long. I loved the first story but they are all good. They were well crafted and sufficient unto themselves but were also so good and interesting that I wanted each to go on longer - I wanted to hear/learn more about the characters. I can't say enough good about the narrator. Perfect pacing, good characterizations, no distracting goofs - I will be looking at other books Suzanne Barbetta has narrated because she is that good - I want to hear more of her. This was a quick listen and I did it while preparing dinner. The story was so complete though that several times I had to stop and just enjoy the listen without moving. It was sweet and tender and imaginative and not be missed. Not all are science fiction, some are just random. What did you like best about The Death and Rebirth of Anne Bonny? What did you like least? I loved how the writer described nature and the nuances of human nature. I loved the mischievous parrot. Has The Death and Rebirth of Anne Bonny turned you off from other books in this genre? I think this grouping of stories spans different genres. Some stories were good, a couple were more of musings, descriptions of people's lives under trying conditions. I liked her reading of the stories. I could see in my mind the freckled nose girl when Suzanne described her voice. It was a perfect voice for the character. Do you think The Death and Rebirth of Anne Bonny needs a follow-up book? Why or why not? Not really. Perhaps if the author had enough stories to separate out the science fiction she could turn it into two volumes. The science fiction stories are good. The other ones I am sure are okay if not labeled as SF but when included, well a person is waiting for the science fiction aspect to kick in so when it is suddenly over it seems mundane. There are 6 short stories. Since I didn't see any summaries of the stories, i'm including brief points below. While audible categorizes the book as sci fi, I'd only consider about half of them as Sci-Fi. Be warned most of the stories are kinda sad, dealing with death or otherwise crippled characters unable to enjoy their life. At least the stories suggest at a happy ending. As for the narrator: I Liked the accents the narrator used in "Cyborg and the Cemetery" for her characters and her stuttering in "First Steps". She did a fine job for the rest of the book. 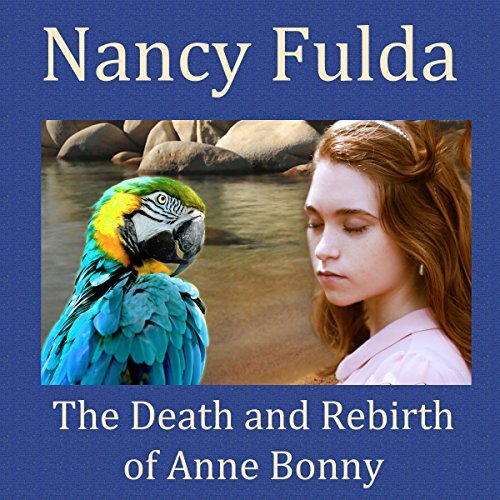 The Death and Rebirth of Anne Bonny - Children's - Girl and her pet bird go through tragedy together. Saving Sammy - Contemporary - Doctor treats a boy with autism. All or Nothing - Contemporary - Relationship evolves between two children as they grow up. In the Fading Light of Sundown - Post Apocalypse - Tobas makes a journey to find his love. The Cyborg and the Cemetery - Sci Fi - A human/cyborg mix discusses whether cyborgs are human. First Steps - Sci Fi - Girl wants to spread her father's ashes and meets a crippled boy on the way.